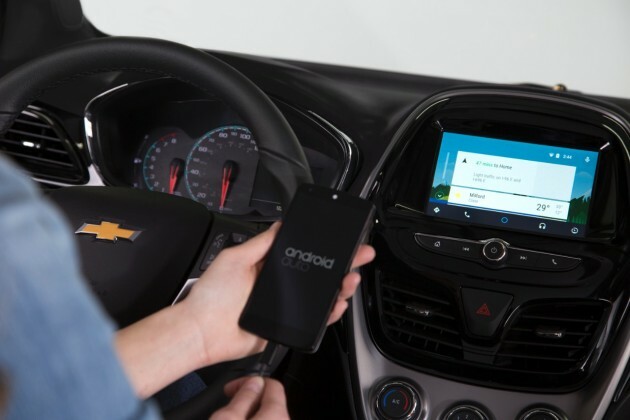 Today Chevy announced that for the 2016 model year, the bowtie brand will offer Android Auto and Apple CarPlay compatibility in “more models than any other automotive brand.” All in all, 14 Chevrolet models will feature optional Android or iPhone compatibility, including the all-new 2016 Cruze, which debuts just a month from today. 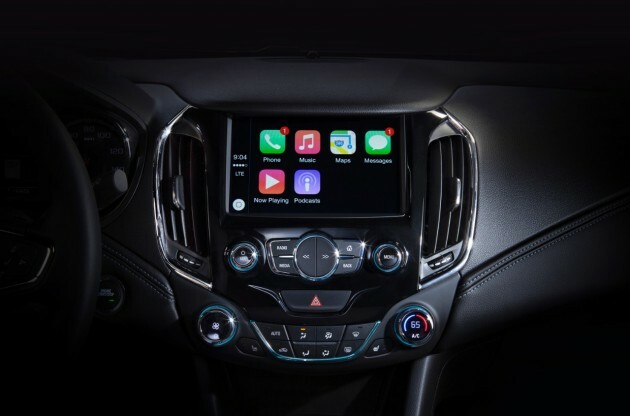 A 7-inch MyLink infotainment system, able to run both Android Auto and Apple CarPlay, will be offered for the 2016 Chevy Spark, Cruze, Malibu, Camaro, Silverado, and Silverado HD. Meanwhile, an 8-inch screen that only supports CarPlay will be available on the Cruze, Malibu, Impala, Volt, Camaro, Corvette, Colorado, Silverado (HD), Tahoe, and Suburban “at the beginning of the 2016 model year,” with Android Auto capability most likely coming later in the year. Each system offers what smartphone owners are used to/utterly dependent upon: Google Maps, Google Now, WhatsApp, Skype, Google Play Music, Spotify, and other apps appear onscreen with the Android Auto system; while Phone, Messages, Maps, Music, and the familiar voice of Siri are accessible (alongside other third-party apps) to Apple CarPlay users. This new technology should help Chevrolet get some of that Millennial moolah they’re always so eager to attract. It also brings the automotive industry one step closer to the HR-V Selfie Edition becoming a reality.